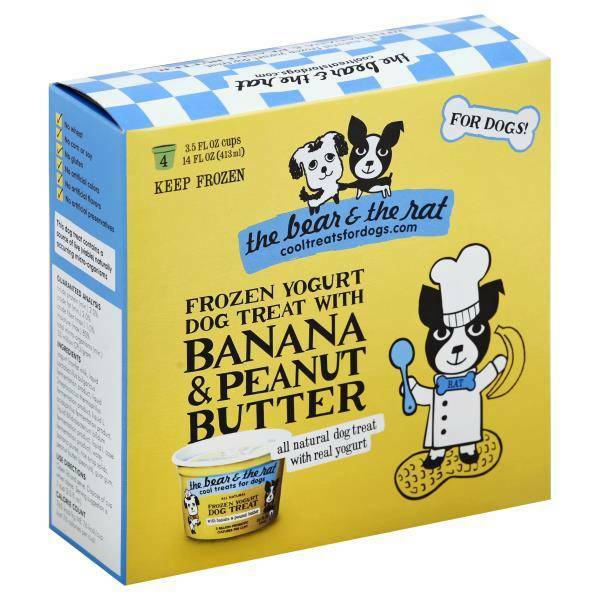 Our frozen yogurt dog treats are full of quality ingredients like Applewood smoked bacon, banana and pumpkin. 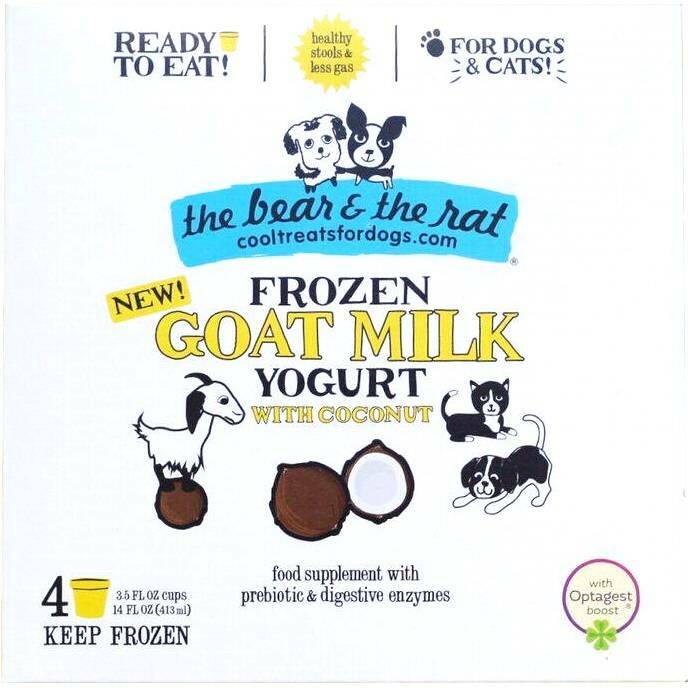 Each cup of "Cool Treats" is packed with billions of probiotics, making them a favorite for pups and their parents. 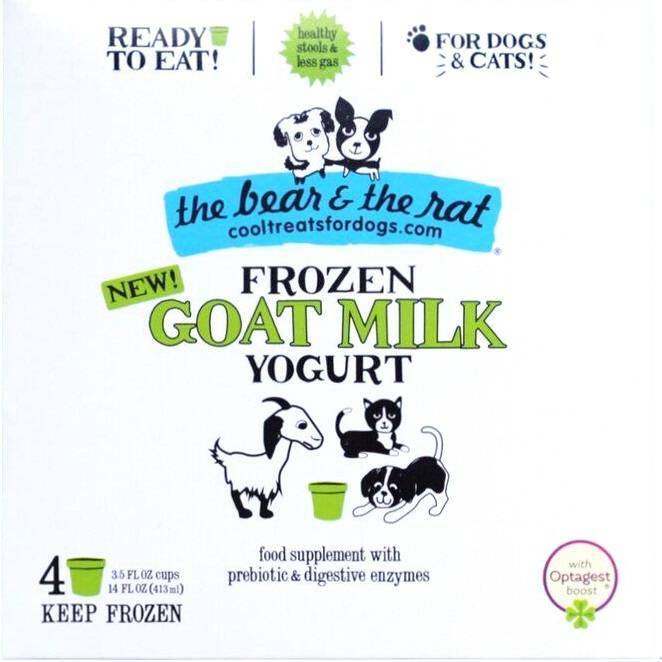 Our new Frozen Goat Milk Yogurt for dogs & cats is so much more than just a treat. With a full serving of Optagest prebiotic enzymes in every cup and quality ingredients like Turmeric, Cinnamon and Ginger your pet will be begging for their daily supplement. 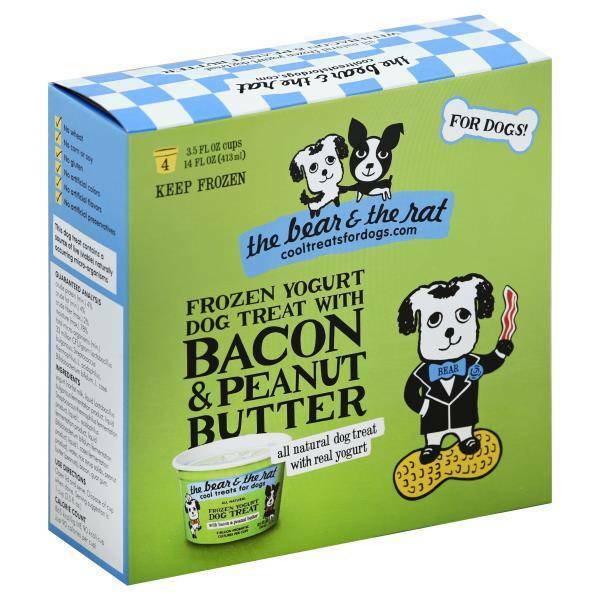 Ingredients: Yogurt (Nonfat Milk, Water), Rice Syrup Solids, Peanut Butter (Peanuts), Bacon, Guar Gum, Probiotic Cultures. Ingredients: Yogurt (Nonfat Milk, Water), Rice Syrup Solids, Banana Puree, Peanut Butter (Peanuts), Guar Gum, Probiotic Cultures. 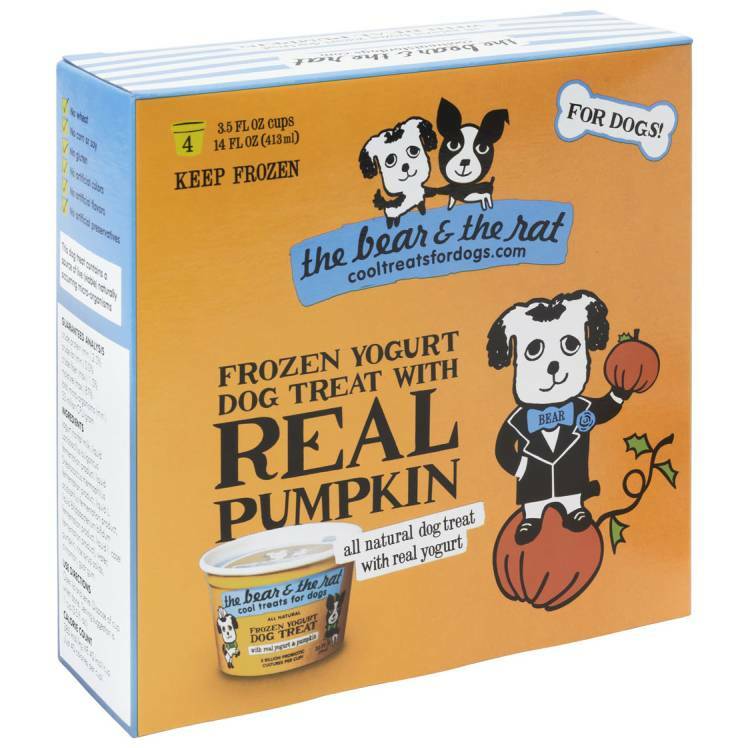 Ingredients: Yogurt (Nonfat Milk, Water), Pumpkin Puree, Rice Syrup Solids, Cinnamon, Guar Gum, Probiotic Cultures. Ingredients: Goat Milk, Water, Rice Syrup Solids, Guar Gum, Optagest (Organic Inulin, Dried Aspergillus Oryzae Fermentation Solubles, Dried Rhizopus Oryzae Fermentation Solubles, Dried Trichoderma Longibrachiatum Fermentation Solubles), Turmeric, Ginger, Cinnamon. Ingredients: Goat Milk, Water, Rice Syrup Solids, Coconut Cream, Guar Gum, Optagest (Organic Inulin, Dried Aspergillus Oryzae Fermentation Solubles, Dried Rhizopus Oryzae Fermentation Solubles, Dried Trichoderma Longibrachiatum Fermentation Solubles), Turmeric, Ginger, Cinnamon.